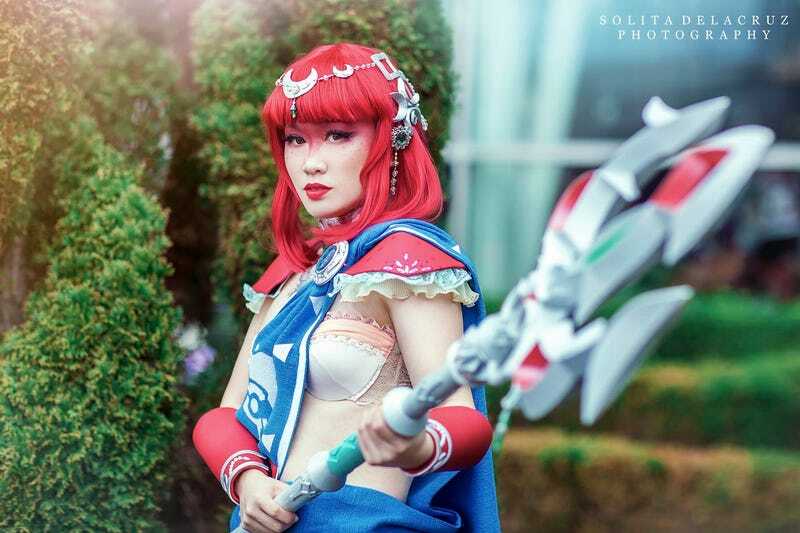 This is Sorairo-Days as Breath of the Wild’s Princess Mipha. Photos by Solita Delacruz. Costume design by SunsetDragon, trident by FullHealthCosplay.